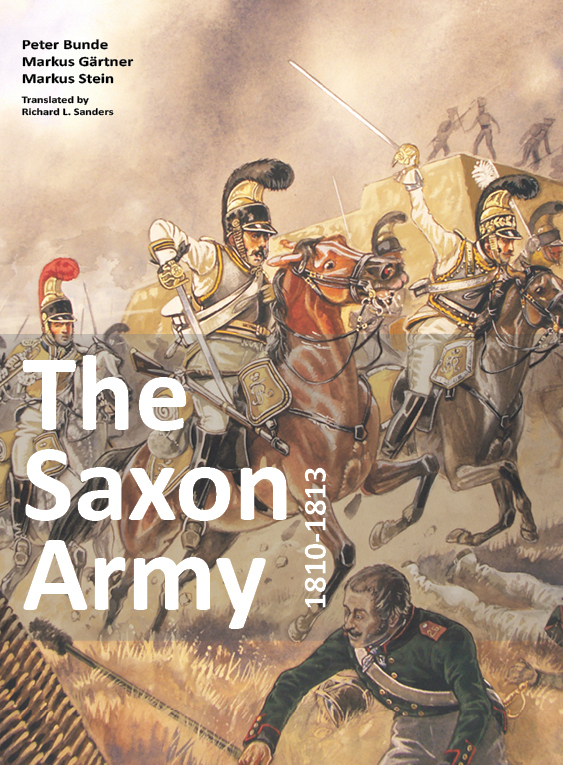 This book presents this „new“ Saxon Army with numerous contemporary illustrations, with plates by Patrice Courcelle and Edmund Wagner as well as graphic tables of uniforms of all the regiments by Peter Bunde. 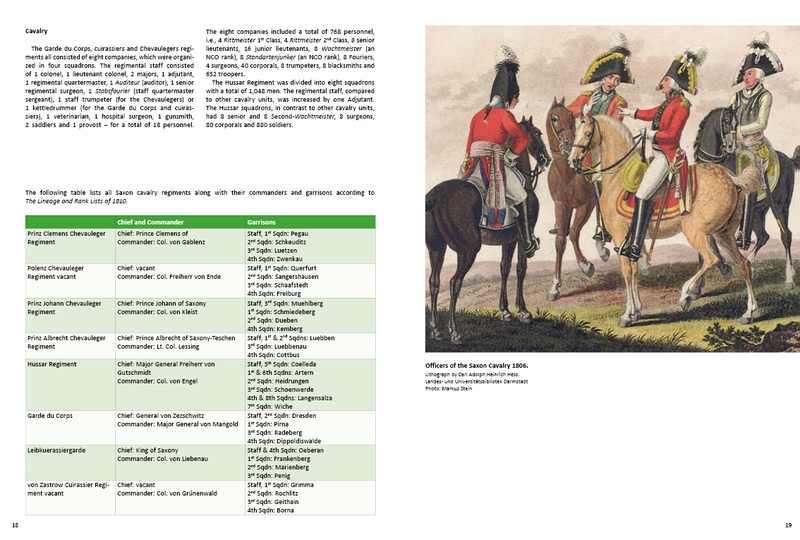 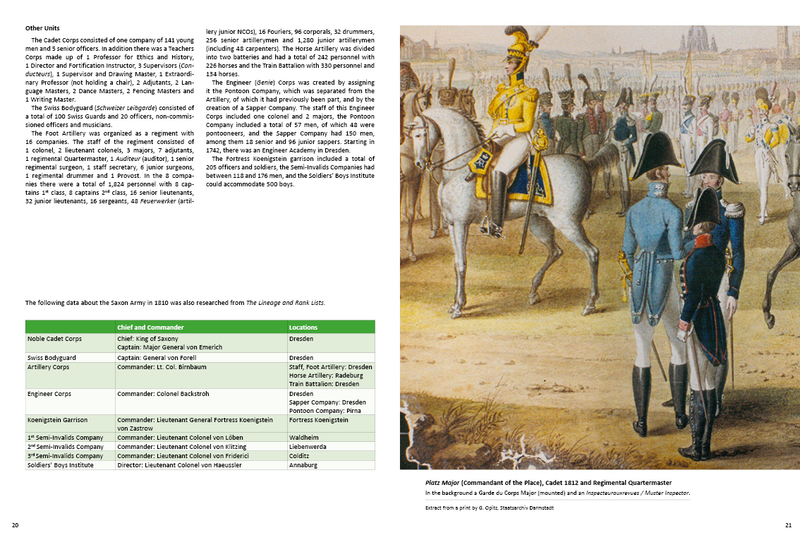 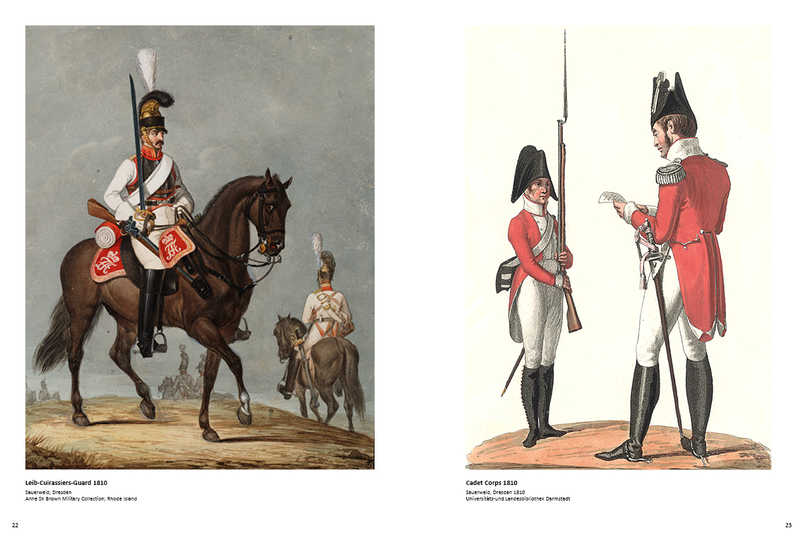 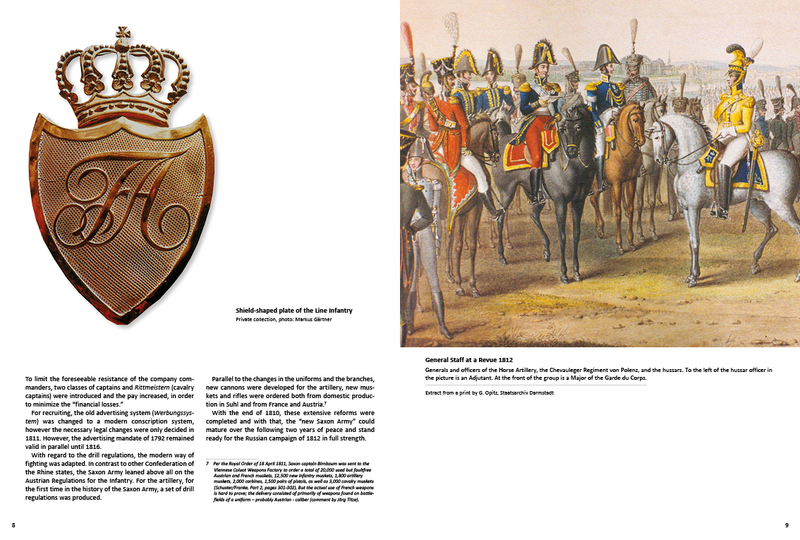 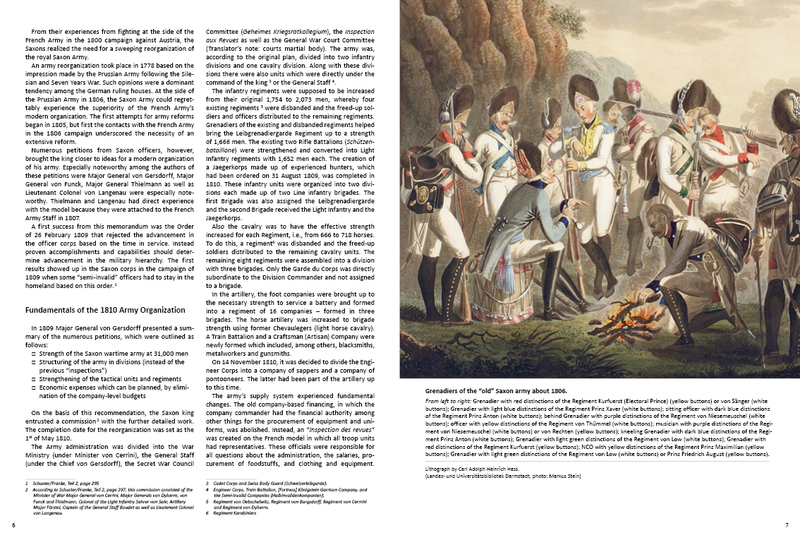 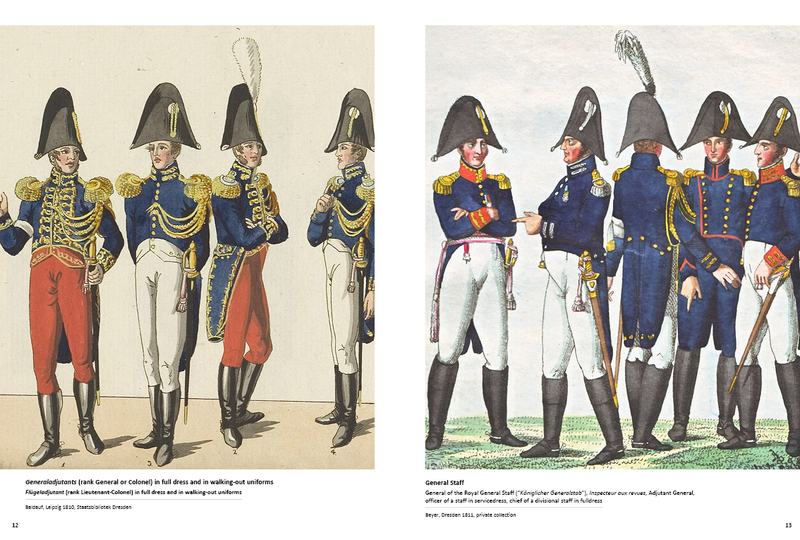 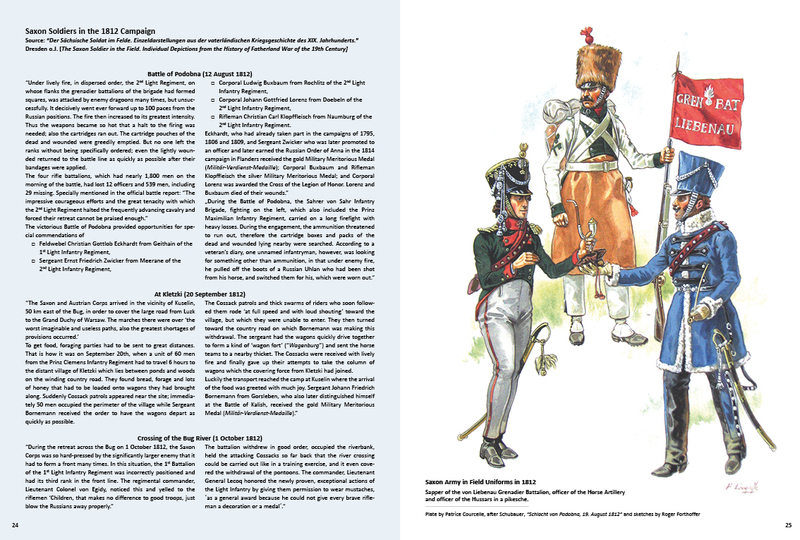 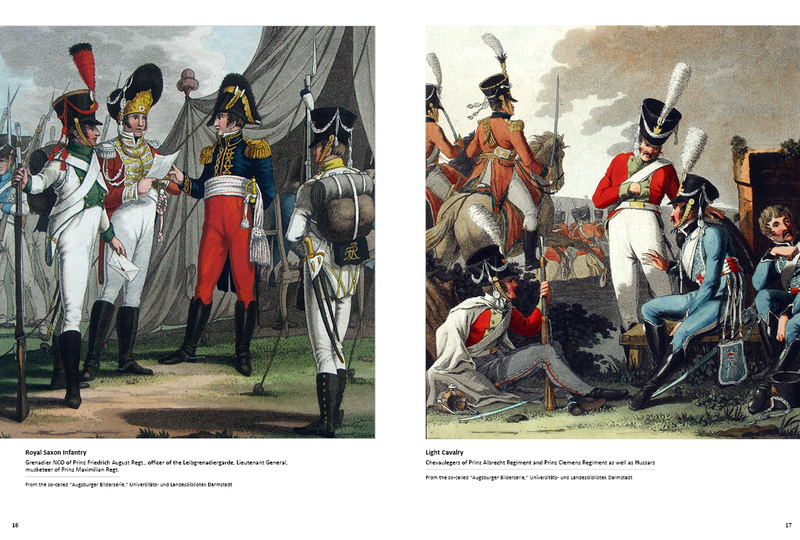 A description of the war experiences rounds out the presentation and thus the volume gives the reader a good, thorough introduction to the organization, uniforms and history of the Saxon Army of 1810-1813. 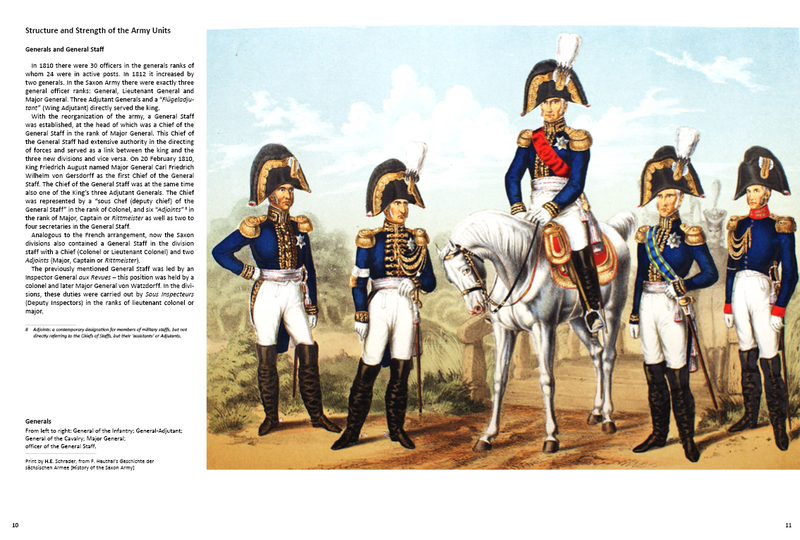 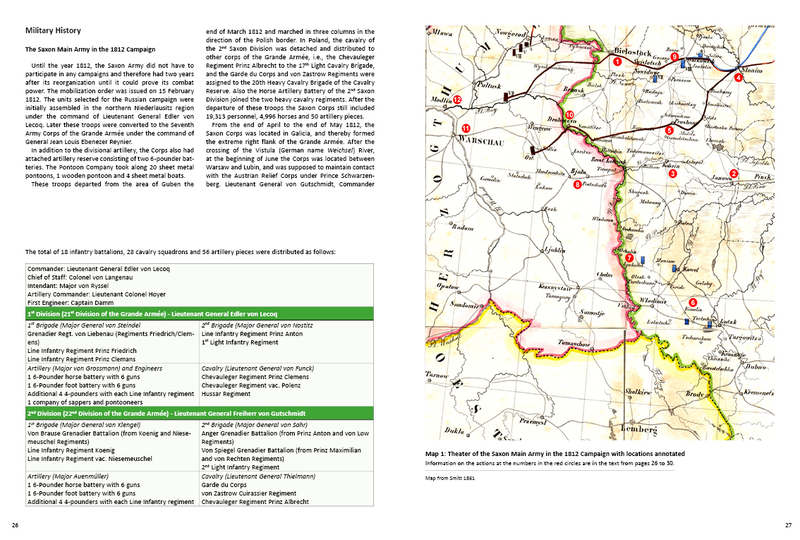 51 color illustrations, including three maps and 14 full-page pictures with uniforms. 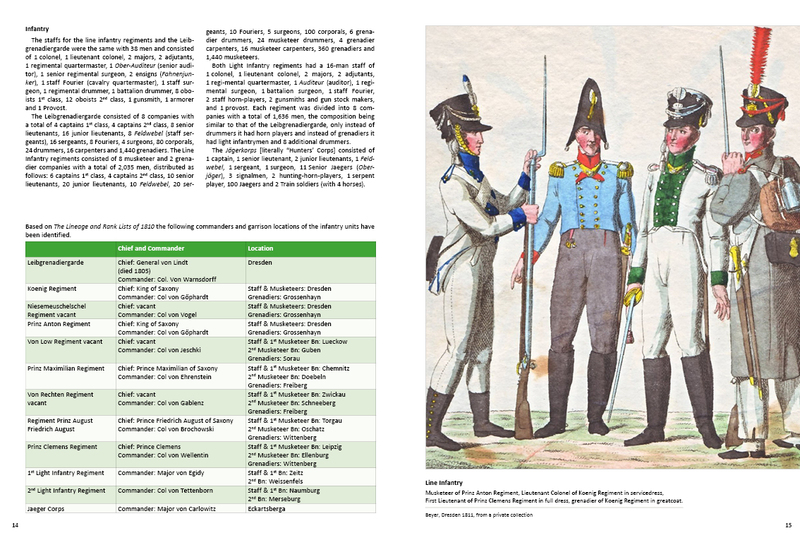 English edition of „Die Sächsische Armee 1810-1813“.